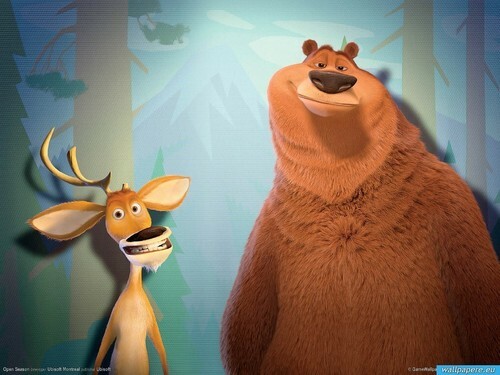 OPEN SEASON. . HD Wallpaper and background images in the Open Season club tagged: boog elliot open season martin lawrence ashton kutcher. This Open Season wallpaper might contain tanda, poster, teks, and papan tulis.